Dr. Yasmin Hurd is Professor of Psychiatry, Neuroscience and Pharmacology and Systems Therapeutics as well as the Ward-Coleman Chair in Translational Neuroscience at the Icahn School of Medicine in New York. 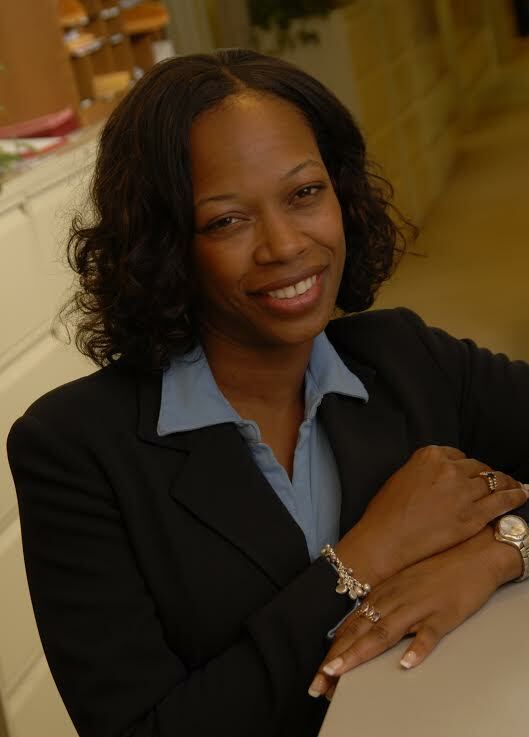 She is also Director of the Center for Addictive Disorders in the Mount Sinai Behavioral Health System. She received her PhD in Medical Science from the Karolinska Institute in Sweden and spent time as a Pharmacology Research Associate Fellow with the NIH and Staff Fellow at the National Institute of Mental Health. Afterward, Yasmin returned to the Karolinska Institute where she remained as a faculty member for 13 years before coming to Mount Sinai. She is also a member of the American Society for Neuroscience, New York Academy of Sciences, and the College on Problems of Drug Dependence. Yasmin is with us today to tell us all about her journey through life and science. Yasmin loves cooking, including the challenge of assembling meals from the random ingredients in her pantry and hosting elaborate dinners for her friends. She has also developed a passion for painting. Yasmin studies the brain and addiction. She wants to know how drugs impact the brain, as well as how genetics and other characteristics shape disease vulnerability. Her work also has applications for developing new therapeutic treatments for substance abuse. Yasmin was born in Jamaica, and she has always felt that she doesn’t fit the stereotype of what a neuroscientist looks like. When she was really young, she was fascinated by science and was especially interested in the brain. The questions that drew her into science focused on what makes people the way they are and what is going wrong in the brain in people who have problems. One of the things that you have to learn to accept as a scientist is that things will fail. It is particularly tough when you have been working on a project for months or years and you realize that you made an error earlier on in the process. In these situations, months and maybe years of work and data could be lost. Some of Yasmin’s great successes have been research grant awards. With the tough funding climate, this has been a really important accomplishment. In addition, Yasmin’s work has opened up some really interesting new lines of investigation into addiction, despite the fact that people initially told her what she was proposing to do was not possible. One of the conferences that Yasmin has really enjoyed was for the American College of Neuropsychopharmacology. It was held in Puerto Rico, and she has fond memories of sitting on the beach chatting with the top scientists in her field. Everyone was so accessible, and it was fun to talk science in such a beautiful place. Food is usually the common theme for lab traditions. When Yasmin was a postdoc, the mentor of the lab would have a pasta party and make homemade pesto from his garden. The lab members later found out that the blender he used was the same blender he used in the lab for brains. She also had a lot of fun bringing the tradition of celebrating Thanksgiving with her when she worked in Sweden. Don’t think about what other people are thinking of you. Work hard and accept whatever opportunities that come your way. Make sure to step outside of your comfort zone both personally and scientifically. Dr. Hurd is an internationally renowned neuroscientist whose translational research examines the neurobiology of drug abuse and related psychiatric disorders. She is highly published in the field and leads a team of investigators in molecular biology, behavioral neuropharmacology, genetics and neuroimaging to study the human brain as well as translational animal models. Using multidisciplinary research approaches, her work has provided significant insights into the complex neurobiological mechanisms underlying addictive behavior as well as the molecular neuropathology associated with genetic vulnerability to addiction. Moreover, her novel research explores epigenetic mechanisms associated with developmental cannabis exposure that have long-term effects into adulthood and across generations. Additionally, her basic science research is complimented by clinical laboratory investigations for the development of new treatment interventions. Dr. Hurd has served as the Director of the MD/PhD program at the Icahn School of Medicine and was the founding Chair of the Diversity in Biomedical Research Committee. She currently serves on the Executive Committees of the Friedman Brain Institute and Women in Science and Medicine at Mount Sinai. She has also held many national leadership roles including being the current Chair of the Board of Scientific Counselors of the National Institute on Drug Abuse and Chair of the NIH Study Section on Pathophysiology of Mental Disorders and Addictions. She has been a member of the MacArthur Foundation Neuroscience network and other notable national scientific organizations.